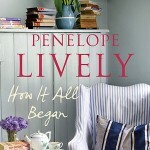 Penelope Lively is among my favourite authors. It’s the Miss Marple thing, I think: the appearance of a gentle, genteel lady belies the breathtakingly acute gaze which pierces the human condition to its very soul. 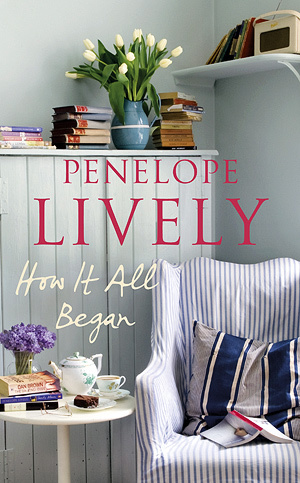 How It All Began begins with one small, but lives-changing moment: an old lady is mugged. This commonplace, if sad, occurrence doesn’t just impact on Charlotte, the victim, but on those who surround her: her daughter, Rose, who meets and falls for an Eastern European immigrant, Anton, Charlotte is teaching to read English; Rose’s employer, Lord Peters, in denial of his fading intellectual powers and standing (the scene where he forgets his speech for a prestigious lecture and is unable to improvise his way out is every excruciating exam nightmare you’ve ever had rolled into one); and Lord Peters’ niece Marion, living out an unsatisfactory affair. These are everyday lives, everyday happenings. But Lively’s brilliance is to three-dimensionalise her character-emblems, to alternately describe, critique, understand and redeem them. If you’ve not read her before, start with Moon Tiger, her Booker-winning triumph, one of my desert island books. If you have, enjoy this one also.